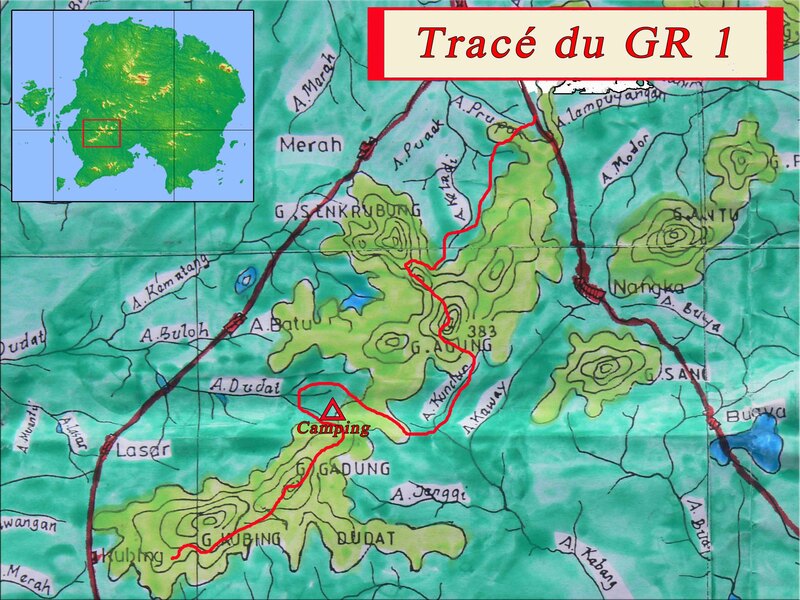 On a course of 16 km (flying birds), here is the first section of the GR1, the long-distance hiking trail of Belitung. This course seems small, is carried out over two days and needs to be well shod. This course has few paths and is practically only through woods. The climate, the forest environment, and the many elevations make this route quite hard. It is by climbing what we can call these great hills that we understand why the inhabitants of Belitung call them mountains.